Remember that Woody doesn’t even recall that he is a collector’s item — a toy made in the 1950s. This is a deviation from other toys who know full well where they come from. It’s possible that Woody doesn’t know because he’s been in Andy’s family for a long time, possibly belonging to his father. Ah, this hat looks familiar. It’s the same red hat with white lace that Andy wears. The only difference is that Jessie’s hat has a white lace around the center. But look at Andy’s hat again. There’s a faded mark where the white lace should be. Why do you think that is? And what does Jessie have to do with this? (Bob Saget’s voice) Kids, you remember the story of Jessie. Her owner Emily grew up with her, much the same way as Andy. She was incredibly loved, but Emily eventually gave her away when she grew older. 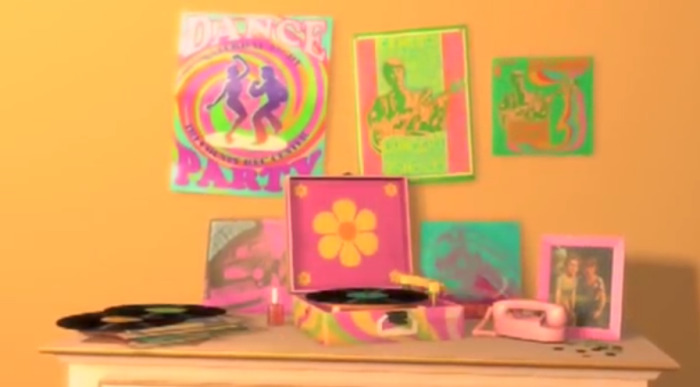 Jessie ended up in storage for a long time, as confirmed by her in the movie when she has a literal panic attack over having to go back. That is a hat that looks extremely similar to, you guessed it, Andy’s. 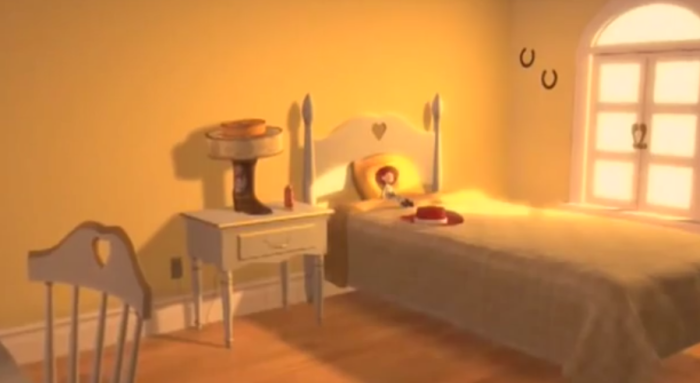 The room is also pretty old-fashioned, leaving room for this to take place years before Andy was born. 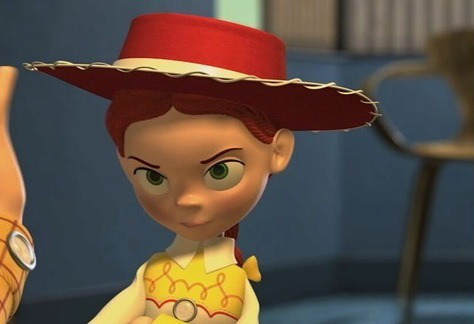 The only difference between the hat that Emily wears throughout this sequence and Andy’s hat is an extra white lace around the center, which is visibly missing from Andy’s hat. Otherwise, the hats are identical. Also, in the donation box that Emily puts Jessie in, we don’t see the hat. We do see other remnants of her connection with Jessie, but the hat is noticeably absent. The box isn’t even big enough to hold it. 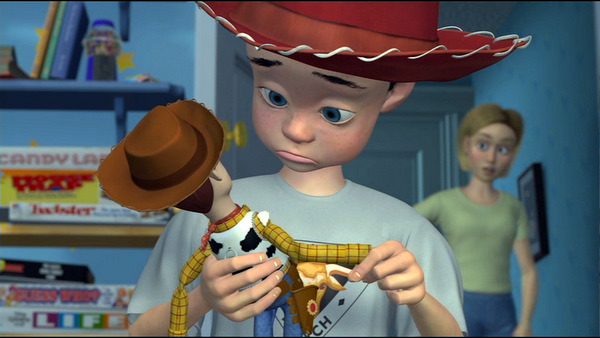 So Emily held onto that hat…and maybe passed it on to her child, who would grow to also love a cowboy doll. We never get a closeup of Emily’s face, but we do see that she has light, auburn hair as a teenager. Also, it is very short. The middle picture is closest to the strawberry blonde color we see when Emily is young. It’s perfectly reasonable to assume that her hair lightened as she aged, which is clearly the case in these photos (or she could have dyed it). We don’t know the first name of Andy’s mom. We don’t know Emily’s last name. We know that Andy’s hat and Emily’s hat are the same. We know that Emily is old enough to be Andy’s mom. We definitely know that Pixar is perfectly capable of sneaking this in without being overt about it. You may be wondering how the two characters could be the same if Emily was willing to give Jessie up so easily, while Andy was far more hesitant. Actually, the scenarios are quite similar. 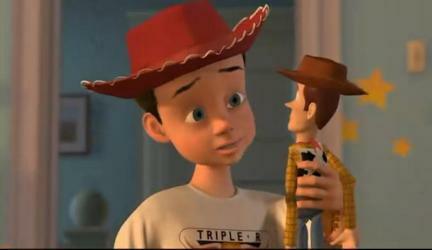 Andy forgot about Woody as he grew up too, despite their strong connection. Andy even gave Woody away, albeit in a different manner than Emily. In the end, it makes perfect sense that these two concurrent stories are so similar because they’re related by blood. It’s also a freak of destiny that Jessie would one day belong to her owner’s son, though we never get to see the mom’s reaction to seeing Jessie again. She was probably indifferent and believed it to be a different version of the same toy. How would you respond if you saw your child with a toy that looked like one that you had as a kid? Your first assumption probably wouldn’t be that they’re the exact same toy.